Are you an author or publisher interested in having me showcase your novel? You have come to the right place! I accept ebooks in kindle format and physical copies for review. ARC or Finished Copies are both fine. 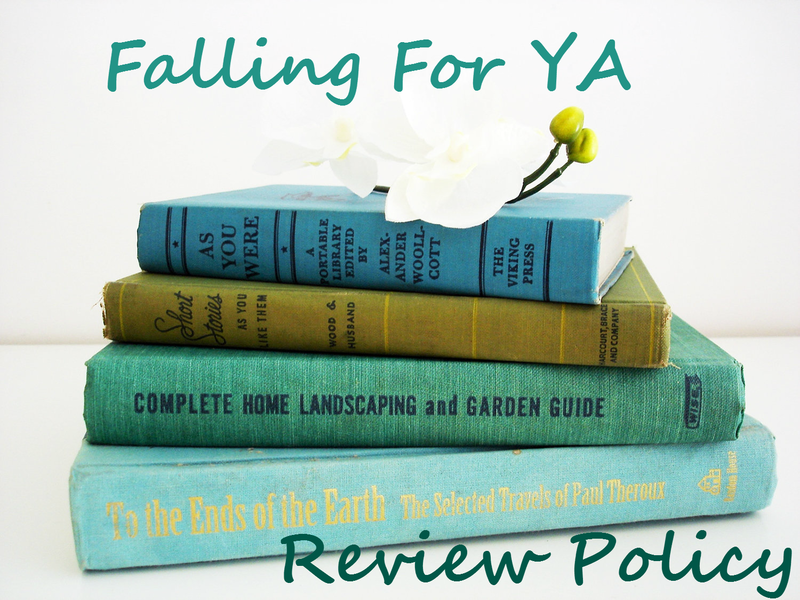 If your novel is accepted for review my review will be posted on Falling for YA, Goodreads, and Amazon. The review will include a rating (1-5 stars), links to Goodreads and Amazon where the book can be found, cover art, and my general review. For more information please view my prior reviews. I am more then happy to host or be a part of blog tours, author interviews, cover reveals, giveaways, or other features. Please indicate in your email if you are interested in participating in a feature in the case that I am unable to review your novel. Due to the high volume of requests I will only reply to those emails with books I am interested in reviewing. I put all emails in a folder so it may be a few weeks until I have a spare moment to review request.